What’s your name and where do you teach? My name is Jorge Valenzuela, and I teach at Old Dominion University, and I am also an educational coach for Lifelong Learning Defined, Inc. As I coach hundreds of educators and students both face to face and virtually (also through blogs and webinars), I find that a location doesn’t always define my classroom. However, I do hold classes and teach students at both Old Dominion University in the Department of STEM Education and Professional Students. I also teach Saturday school in a class called, ‘Getting Computer Science READY’ at the MathScience Innovation Center. Why did you want to be an educator? I became an educator because of my Career and Technical Education (CTE) Nurse’s Aide teacher in high school who instilled in me the importance of making our life’s work a vehicle for helping others. I’ve always been academically inclined, and so I strive daily to use my best gifts and attributes for assisting others in becoming better learners and delivers of their knowledge. What about the STEM/STEAM philosophy do you want your students to focus on? As both declarative and procedural knowledge are necessary for critical thinking, I’d prefer that students focus on the engineering design process or the creative process for STEAM as a systematic approach to solving problems or inventing. Focusing on the process will provide context to the new knowledge they construct along the way. (i.e., computational thinking, a new math formula, coding, scientific principles, a new tech tool, etc.). What inventions have your students invented with littleBits? I’ve seen many students create amazing designs and inventions using littleBits (i.e., a remote-controlled vehicle, a bridge that lets builders know when the load is getting too heavy, and a variety of electronically and code-controlled systems). But the coolest invention, I’ve seen are the Bits incorporated into a Rube Goldberg Device. Students incorporated sound and light to enhance the domino effect. I thought it was a creative take on the linking of simple tasks by students. At this time, there isn’t a technological invention that I’d personally like to invent. I feel that folks like Ayah Bdeir, Elon Musk, and Apple are already doing a terrific job revolutionizing how we learn, play and work. However, I’d like to work with others to ensure that every student receives an equitable education which includes both computer science and STEM/STEAM. 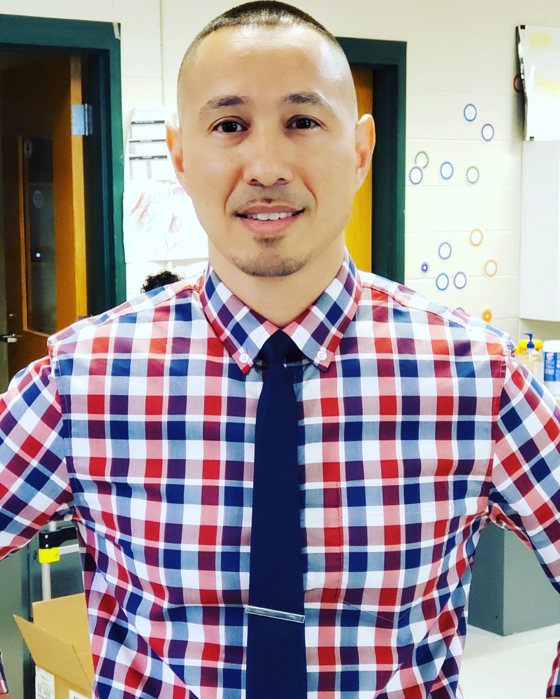 The post Featured Educator: Jorge Valenzuela appeared first on littlebits.com.